Let the Thornhill Employment Hub be the first step in your quest for recruiting new employees. The greatest challenge facing employers in the hiring process is finding the right candidate effectively and in a time sensitive manner. We can assist you in matching the right candidate with not only the technical abilities to do the job, but one who will also fit in with your Corporate Culture. We also provide information on accessing many of the government sponsored incentives for employers. A dedicated team of job developers and employment advisors to recruit and place the right candidate matched to your specific needs. Advertising of job postings to an audience of diverse clients and associated employment service providers within the region. 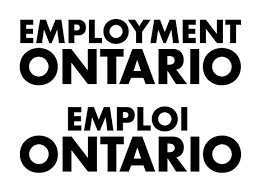 Information on and access to a variety of employment and training programs available to employers through Employment Ontario.